We have already seen the dramatic effects of revolutionary movements catalyzed by the tools of social media: photos, Tweets, and YouTube videos transmitted from highly turbulent political situations around the world. But with the historic Democratic occupation of the House of Representatives currently on display on Capitol Hill, the new media of the day is thrust into the public eye: live net streaming. The networked transmission of a live situation urgently requiring the immediacy of the public eye has now become global and instantaneous. The mobile device has transcended its former function as a medium to capture and upload, a process that could take minutes or hours. The smart phone has evolved into a powerful instrument capable of delivering live images and sound around the world: unfiltered and uninhibited. When patched into cable news, anyone with a mobile phone and a broadcast app such as Periscope or Facebook Live is holding an Internet broadcast camera that can transmit to millions as a feed on network television. This is really not so new. We have seen Skype and other emerging webcast software on television when it is not practical to bring in professional equipment for an interview, a live report, etc. But what Congress initiated yesterday is something totally different and revolutionary. On the floor of the US House of Representatives, CSPAN cameras generally capture the proceedings, but when Congress is not in session or a session has been disrupted by a raucous Democratic occupation, the cameras are automatically turned off and all events are silenced and invisible to the outside world. 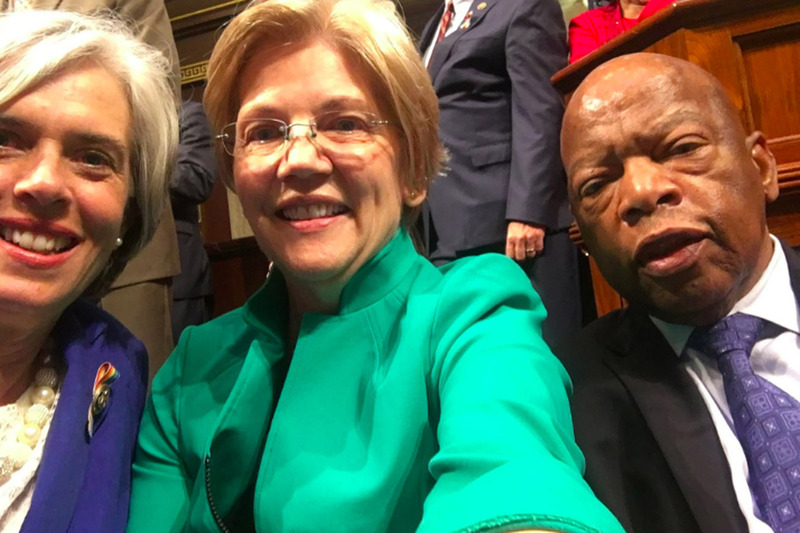 In fact it is against the rules to use a camera on the House floor, period. But this is not how events are currently unfolding in the House of Representatives. 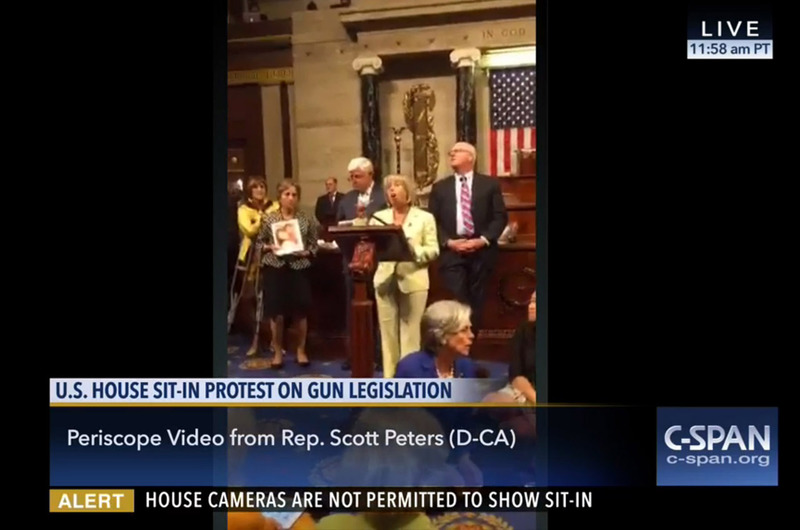 Outraged Congressmen and their colleagues from the Senate took to the floor, literally, to stage a bonafide 1960s style sit-in, broadcasting with mobile phones their chants and protest songs intended to bring action to the dire need for new gun laws. The determined Democrats succeeded in overshadowing all other business of the House, ultimately shutting it down, but nevertheless staying on the air. With the legendary Representative and Black activist John Lewis leading the charge (evoking memories of Selma), the Congressmen live streamed a defiant and emotional reaction against the loss of life due to Republicans’ dangerous opposition and inaction to gun law reform. Due to the use of live net broadcasting as an alternative media, Democrats transmitted their angry protest via the bright lights of cable media. They essentially took control of the media transmission as a vivid demonstration of the power of broadcasting that many of us have in our hands each and every day. We may think of Twitter Periscope and Facebook Live as instruments of frivolous play used by digital natives to stream their cats or bedroom or whatever, we now know that when a transformative political action is in the making, and must be seen, that a smart phone can replace the television camera to transmit the moment: live, real-time, everywhere, everyone. 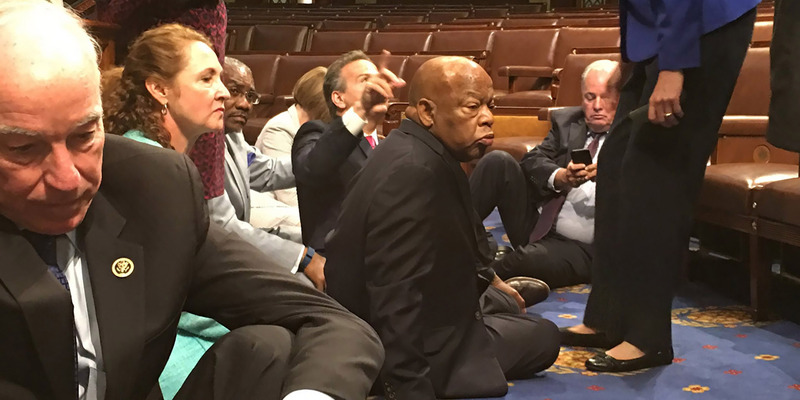 When the gun laws are eventually passed in Congress, and it is only a matter of time, we will look back on the House sit-in as a seminal turning point when the revolution was in fact net broadcasted.